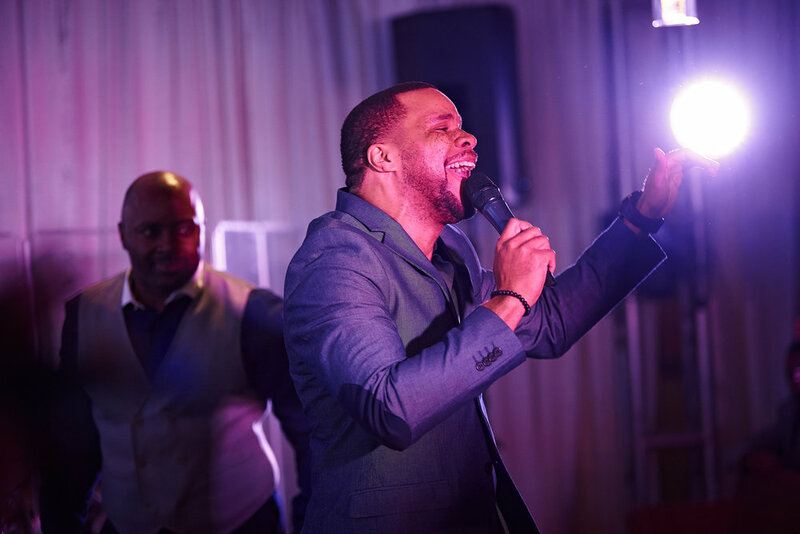 A native of St. Louis, MO, Michael accredits his love for music and performance to his family legacy. He got his start in his Father's home church and quickly grew into an accomplished vocalist, songwriter and performer. Michael developed his passion for praise and worship while singing, directing and arranging music for churches and events throughout the city. After years of cutting his teeth locally - being featured in television performances with many national artists, Michael was invited to join Tyler Perry to appear as David in the hit stage play I Can do Bad All By Myself. He continued his career producing, singing, writing and traveling for concert performances including appearances on national television networks such as TBN & Daystar. After relocating to Dallas, TX in 2005, Michael joined Fred Hammond as a lead vocalist, producer, songwriter and the General Manager for fHammond Family Entertainment Inc. (FHFE). He has been privileged to cowrite on numerous songs including the radio hits They That Wait and Here In Our Praise, winning a Stellar Nomination and two BMI Christian Song Awards. Michael is also proud to add to his body of work projects such as Fred Hammondʼs Free to Worship CD and Live DVD, Love Unstoppable, the Warehouse Worship concert series (now available on DVD), Life In the Word CD and Christmas...Who Needs It -the movie. He is also featured as a lead vocalist and co-producer on Fred Hammond's latest CD project God Love and Romance. He's had the honor of singing and recording albums with Legends in gospel music such as Marvin Sapp's Best in Me and Kirk Franklin'sGrammy award winning Hello Fear. Michael currently serves as the Executive Director of Worship at Oak Cliff Bible Fellowship Church in Dallas,TX where he continues living out his heart's passion of impacting, inspiring and developing worshippers. With performing on the road, around the globe and working in his local ministry, Michael is committed to creating quality music, and empowering his present generation through word inspired messages and songs. How do you define love? What does love look like in a romantic relationship?